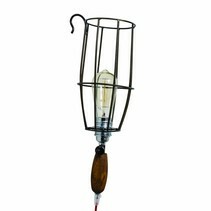 Hanging lamps and floor lamps are widely used indoors to ensure sufficient lighting. But there is not always a need for bright lighting. Because what kind of lighting do you use if you only want to create atmospheric lighting? Hanging lamps are usually suspended pontifically in the living room above the sitting area or a dining table. Also standing lamps are mainly made to provide sufficient lighting in certain places. These lamps are therefore not always suitable for atmospheric lighting. 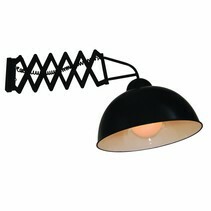 Wall lamps, on the other hand, are ideal for creating mood lighting. And even if you do not have wall lamps, they can improve the atmosphere during the day by using special shapes or materials, such as wooden wall lamps. Why choose for wooden wall lights? Wall lamps in wood are an asset to your living room. Wood is a natural material so that you create a natural look with wooden wall lamps. 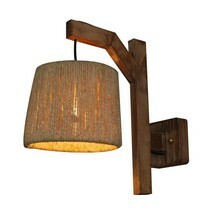 But wall lights in wood will also give the room a warm and comfortable appearance. 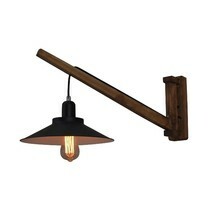 Wooden wall lights are currently also very trendy. Especially because use is made of good woods and they are available in all kinds of styles. 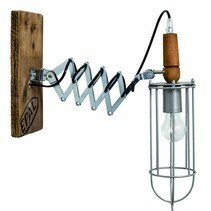 This means that a wall lamp in wood can also fit in almost any interior. Traditionally, wood is placed in classic interiors, but also in a sleek modern interior wall lamps fit in wood. Choose modern wooden wall lamps with finely worked wood. An industrial interior is now also a huge trend. 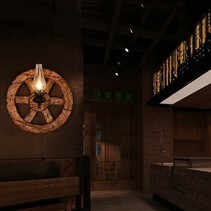 Let this also be an ideal interior for wall lamps wood, where the wood is roughly finished. Whichever wooden wall lights you choose and whatever interior style you have, wooden wall lights can be a beautiful eye-catcher in your home. In addition, every room in your home is suitable. In a small hall, for example, your wooden wall lamp will be space-saving, yet provide ambient lighting and be a striking element in your hall. Do you also want to bring in a natural, warm and atmospheric atmosphere? 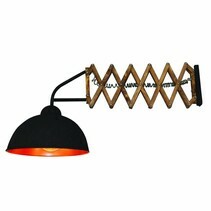 Then go for wall lamps in wood. With the large choice in different types of wood you can also obtain your wall light in the wood that best suits your interior. Whether it is light wood, dark wood, natural wood or varnished or oiled wood, the choice is yours. A big advantage of wood is that it is easy to combine with other materials. This allows you to obtain a refined appearance when, in addition to wood, glass, metal or copper is also used in your wall lamps. Why would you buy your wooden wall lights at My Planet LED? We are a service-oriented lighting shop and we deliver your order as well nationally as internationally. Our customers say we provide an excellent personalized service! The payment possibilities are versatile and secure! In addition, we are member of a quality mark which controlls if their members follow all the customer legislations. 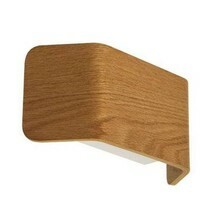 Do you hesitate about a wooden wall light? No problem! You can use our 14 days return policy. This allows you to see if it fits well. And of course, you can count on the excellent service of My Planet LED. Once we receive the wall light in wood, we will inform you of the delivery. Do you have more questions? Do not hesitate to mail us (info@myplanetled.com) or by phone (+32) 57 466 866 in order to obtain more information about wooden wall lights.